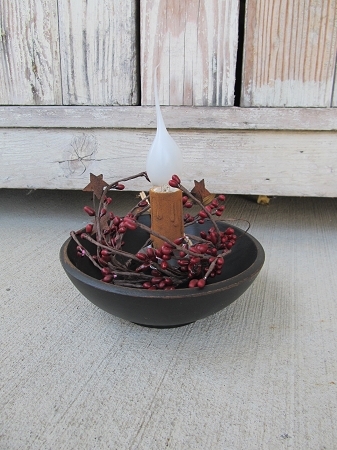 Primitive Wooden Bowl Light with Berries with Color and Berry Options. Our bowl lights have been given a NEW look. 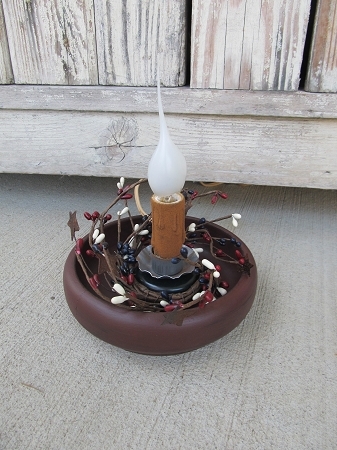 I can now offer you two types of lighting options as well as berry and bowl color options! You can completely customize your own! 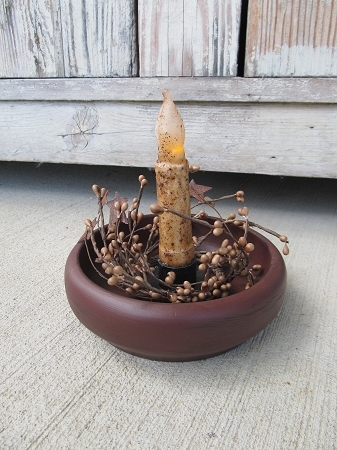 I've taken a old wood bowl, painted and antiqued it. Now here is where we have some choices. First, pick your color of bowl. Color options listed. Second, Pick your lighting source. I can offer either a 4" Wax Coated battery TIMER taper candle (runs for 5 hrs/ off 19hrs OR a 3" electric country candle light with long cord and on/off switch. Third, Pick your pip berry color choice. I have 2 to choose from so far. Burgundy, Tea Stained or Americana all with rusty stars. 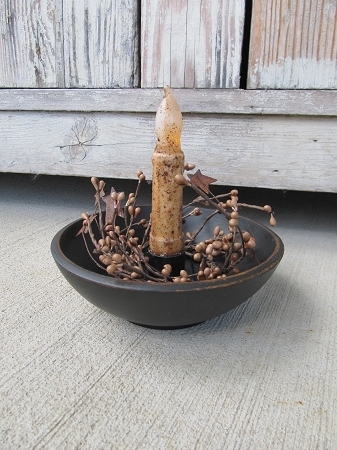 Sizes of bowls will vary a little, average is about 5-6" round and 4-5" tall. These are great to add to spaces in your kitchen on your counter top, inside cabinets, night stands, just about anywhere to give your home that warm cozy feel! Makes a nice gift too! Hand made by Heidi.